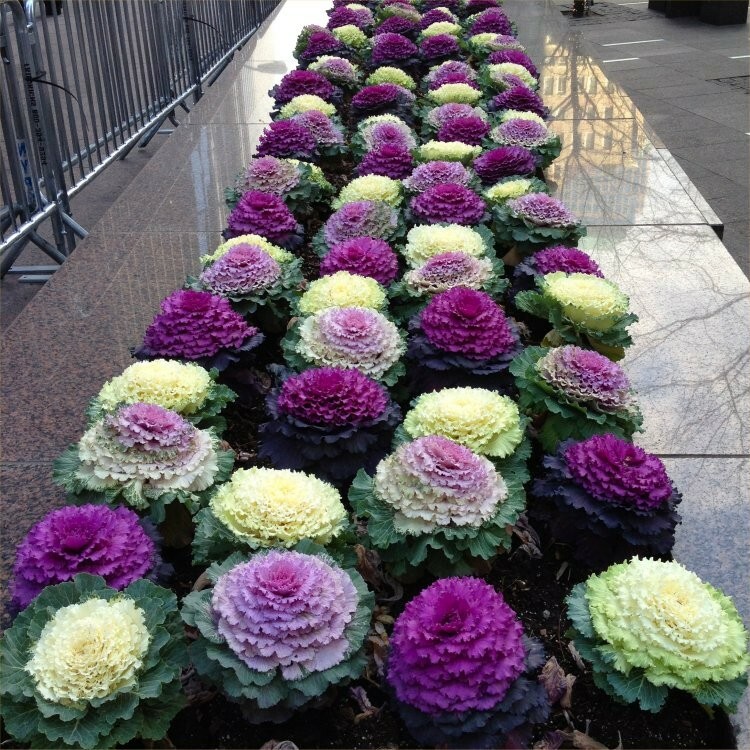 These ornamental cabbage plants look great right now, right through to Spring. Their vibrant colours and architectual shapes really do lift the spirits in the duller months, and actually intensify the colder the weather becomes. 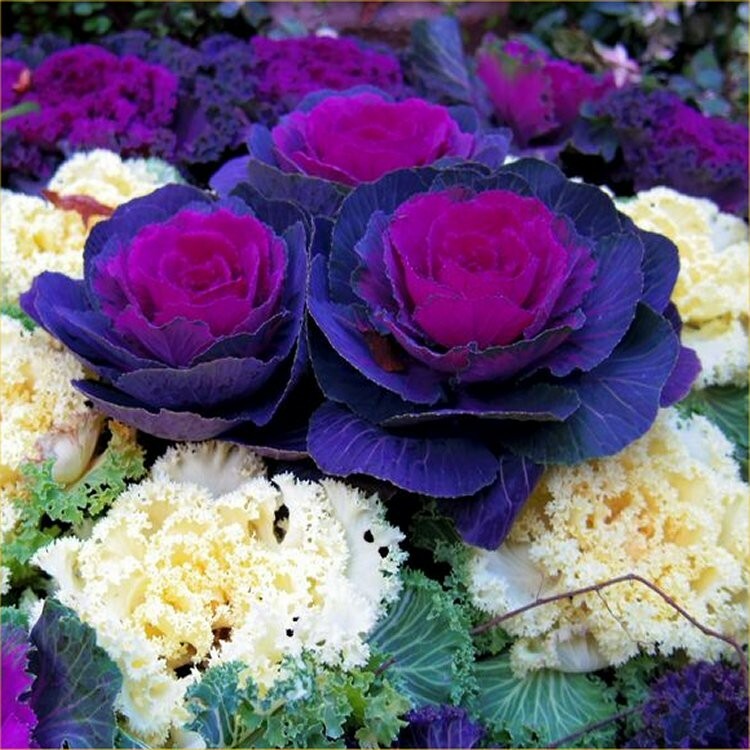 Great for planters on the patio or in beds around the garden. Planted en-mass for a bold splash of colour, they make excellent ground cover and will look just as good right through to spring as they do now, dealing with whatever the winter throws at them. 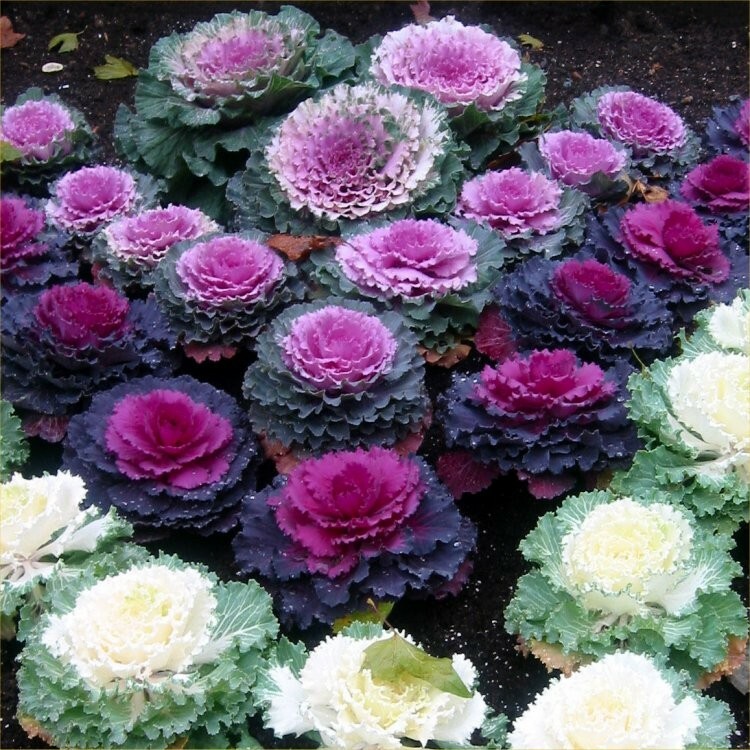 Selection pack includes pinks, purples, reds, creams & whites, selected at packing time to provide a great mix and make a lovely show in your garden. Pack of ten colourful plants in approx 9cm pots.